The Sports Performance Research Institute New Zealand (SPRINZ) produces high-impact research on improving human health, sports performance and long-term athletic development. 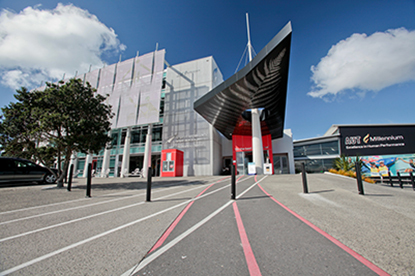 It is a postgraduate research facility of Auckland University of Technology, which is the top ranked university for sport science in New Zealand and among the top 50 universities for sports science globally. SPRINZ has approximately 100 PhD and master’s thesis students, many from overseas, conducting research on sporting and human performance at its laboratories and training facilities. SPRINZ has a strong focus on industry and community engagement with more than $500,000 of its postgraduate scholarships supplied by external partners. Staff and students work at local, national and international levels with industry and community partners to deliver top-level sport professionals and performers, including athletes, administrators, coaches, managers, clubs and schools. SPRINZ is located at AUT Millennium, which is also the home of High Performance Sport New Zealand (HPSNZ) and the New Zealand’s largest Olympic training facility, which gives researchers and developing athletes the opportunity to work and train in the same environment as many of the country’s top sports people.